Colin Kaepernick refuses to go silently into the night. The former 49ers quarterback can’t even buy a job in the NFL anymore, so he keeps forcing his way into national news to prove that the league colluded to keep him out. Spoiler alert – it’s actually because his career drastically fell off a cliff in his final seasons. But now his attorney is promising there will be major news about his grievance suit filed against the NFL very soon. Colin Kaepernick’s delusion knows no bounds. Forget the fact that coaches and general managers don’t think he can help out their football team as a quarterback – every single team is already all-set with that position – but it’s clear that not only does the embattled quarterback believe he is a starter, but the delusional athlete also wants starter money, even if he is a backup. That should tell you all you need to know about him. But instead of accepting that he’s neither as great, nor as valuable, as he thinks he is, Kaepernick is suing the league because he genuinely believes they conspired to keep him out. Safety Eric Reid is also an unemployed free agent from the 49ers and was the first in the NFLto carry on the torch from Kaepernick and kneel during the pre-game anthem. Reid, like Kaepernick, alleges the reason why he’s still a free agent is for the same reasons as the former 49ers quarterback. But reports suggest that Reid is actually a terrible teammate and that his punitive behavior has been deemed a huge deterrent for any team to hire him across the entire NFL. Word spreads fast apparently. Only one team, the Cincinnati Bengals, invited Reid to work out and it was quite clear they didn’t see anything they liked. And that probably means he just doesn’t have it anymore. The average lifespan of an NFL player is approximately 2.5 years, so he doubled that. 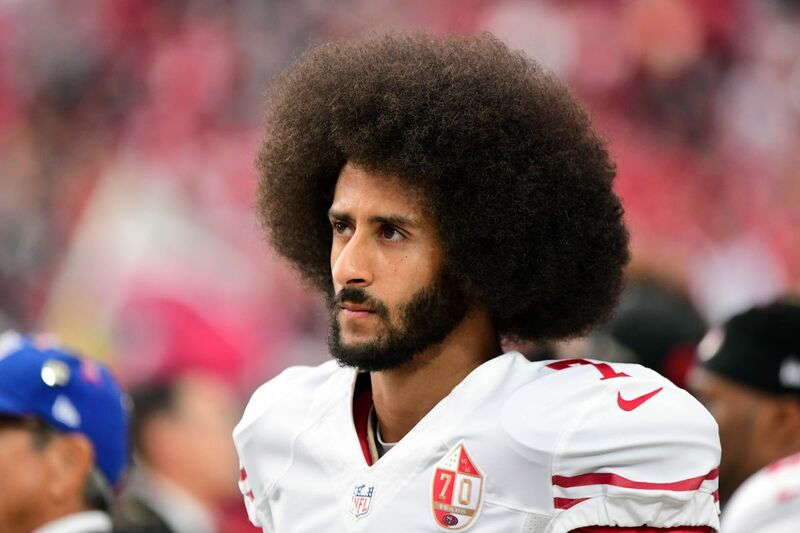 The cases of Kaepernick and Reid were filed separately, but they’re going for the same outcome, which is to prove the NFL and team owners colluded in blackballing them. And that’s why it’s seemingly impossible to actually prove collusion, unless they have audio of a conversation that reaches that conclusion. But unfortunately for them, no news of consequence has been reported in this case—except all of the team owners, general managers and coaches who have already been deposed. Kaepernick’s camp is also trying to subpoena President Donald Trump and Vice President Mike Pence about alleged conversations they had with team owners about keeping Kaepernick out of the league as well. That’s comical because neither one of them probably care about Kaepernick’s status in the NFL one iota. So what could Geragos and his team have up their sleeves? They better have an audio recording proving collusion; otherwise, they don’t really have anything at all.